Since learning some basic crochet (very basic) from my (very patient) roommate, Iris in Cartagena, I have continued to crochet. I find it’s an excellent activity for all the waiting that goes along with travel. I crochet in the car when we drive from assignment to assignment. I need to learn some new stitches but I am getting a lot of practice with my basic stitch. 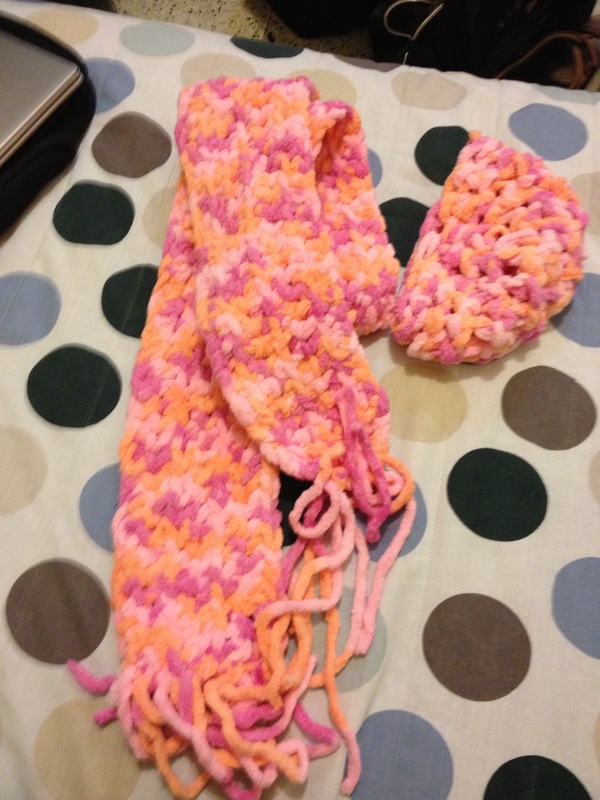 I have switched to a very large crochet hook (15mm or an “S” hook) and cuddly soft bulky yarns (types 5 and 6). It makes it easier to see when I make errors and it works up quickly. 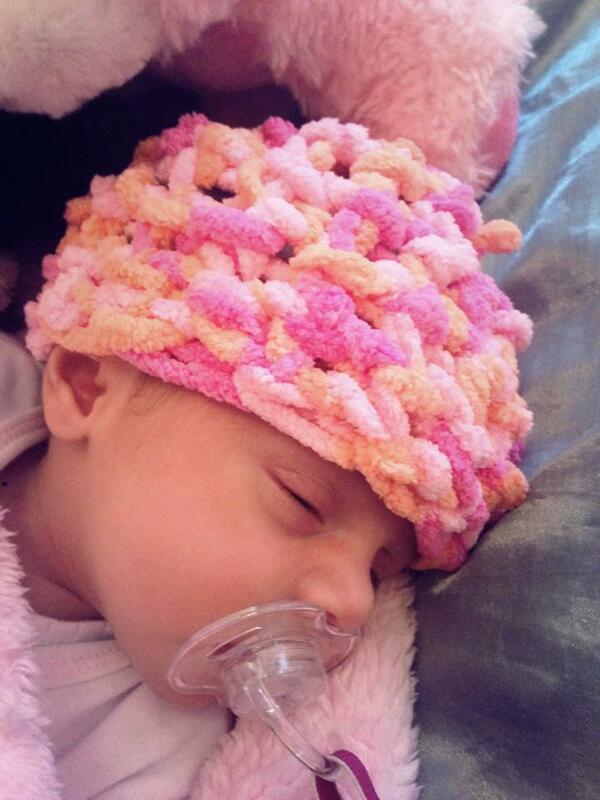 Plus, the yarn is so plush and soft feeling. 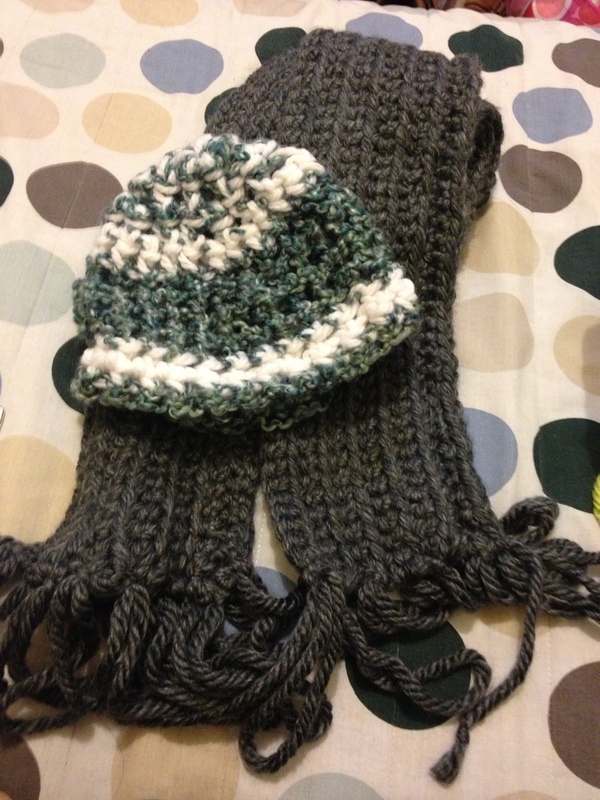 I made a couple things for my friend’s new baby in Bogota. So when I went to see her – I spent an afternoon in Chapinero checking out the yarn situation. 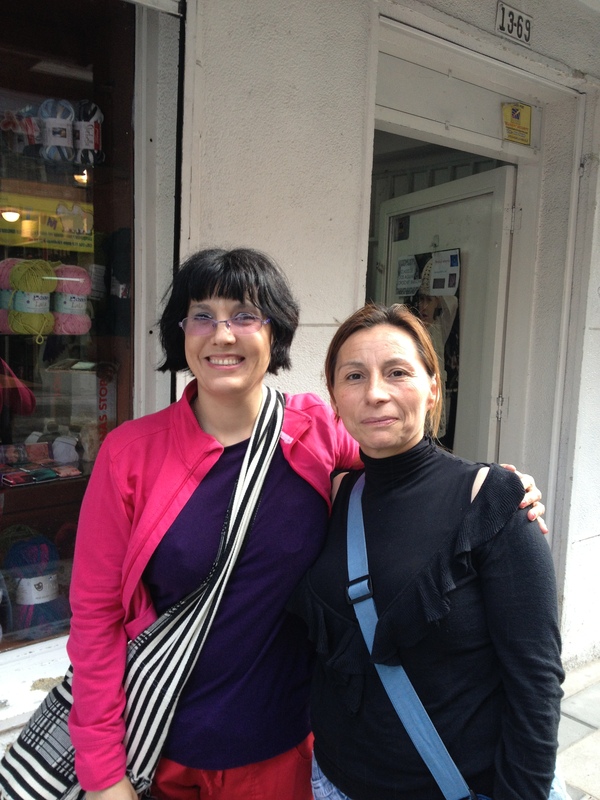 I was in a large bookstore in Chapinero when I met Ligia Morena Vega. I was looking at some new sewing pattern magazines (since I am a sewer who crochets) and she was buying crochet magazines. So I asked her if she knew where I could find some yarns in the neighborhood.. Not only did she know – she took me with her to meet the proprietors and learn more about the crafting classes offered. That’s one of the things I’ve noticed in Colombia – pull out a crochet hook or start asking about crochet, and instantly you make friends. I was on the bus to the airport in Rionegro when this happened the first time. (It’s a long bus ride to Medellin, so I pulled out my crochet..) Very quickly I made friends with several women on the bus as we talked crochet. We walked a few blocks to a short street, Calle 56 (with Carrera 13) where there are several stores selling a variety of yarns. While there was a lot of Red Heart and Lion Brand (especially the Homespun USA – my favorite, at home), I was able to find some beautiful yarns that are made right in Bogotá. 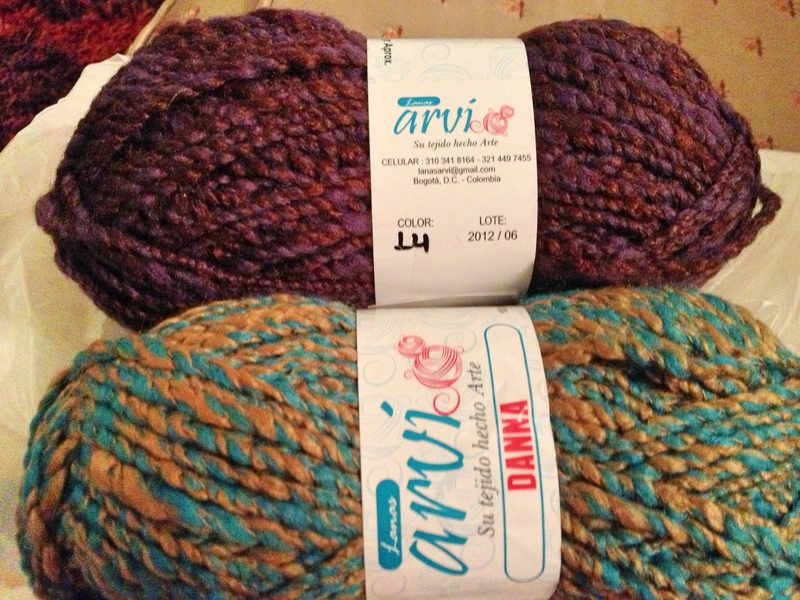 I fell in love with some of the yarns from Lanas Arvi. 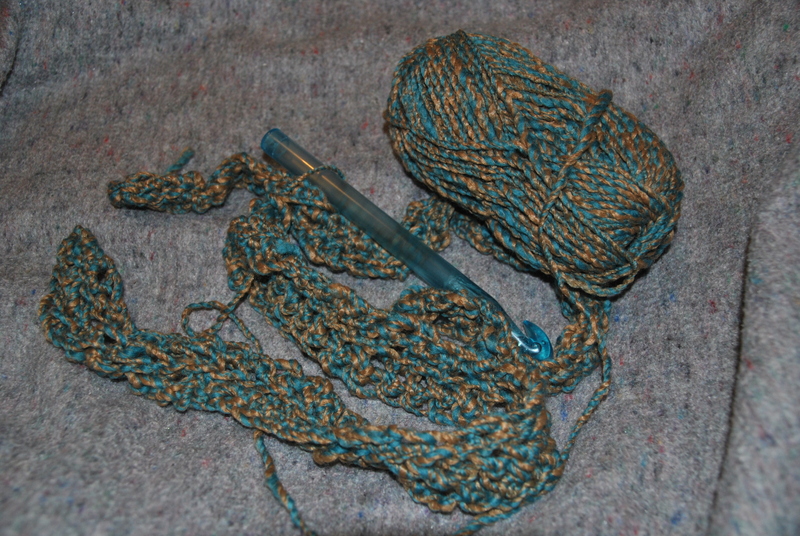 One of the yarns is a beautiful tan and turquoise mix..
some of my new Colombian yarn.. with my gigantic crochet hook. 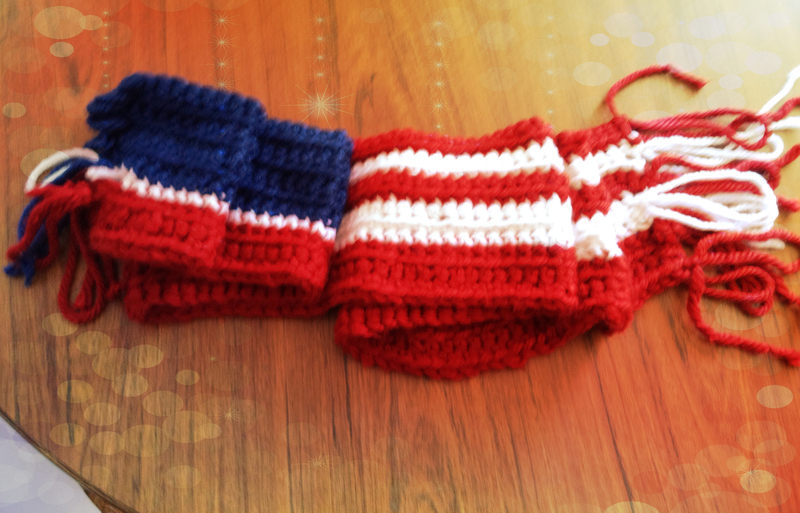 It’s destined to be a scarf.. This time I might even keep it. So far, I have gifted away everything I’ve made with the exception of a camera lens bag..
Several of the shops offer crochet and knitting classes. Todos Lanas and Almacen Mutifibras even print the class schedules on the back of their receipts. The prices are about the same as Wal-mart (since JoAnn’s and some of the craft stores mark up the yarns quite a bit.) I also bought two small skeins of a lovely dark purple to make a gift for a friend – and two small skeins of a variegated yarn with the bright yellow, blue and red of the Colombian flag.. All of the other yellow/ blue / red yarns were sold out just about everywhere we looked. Several owners told us that between Colombian Independence Day (today) and the World Cup – they haven’t been able to keep any of the patriotic colors in stock for the last month. His mother, Isabella works as a professional translator as well as teaching English. But that’s just her job – art is her life. 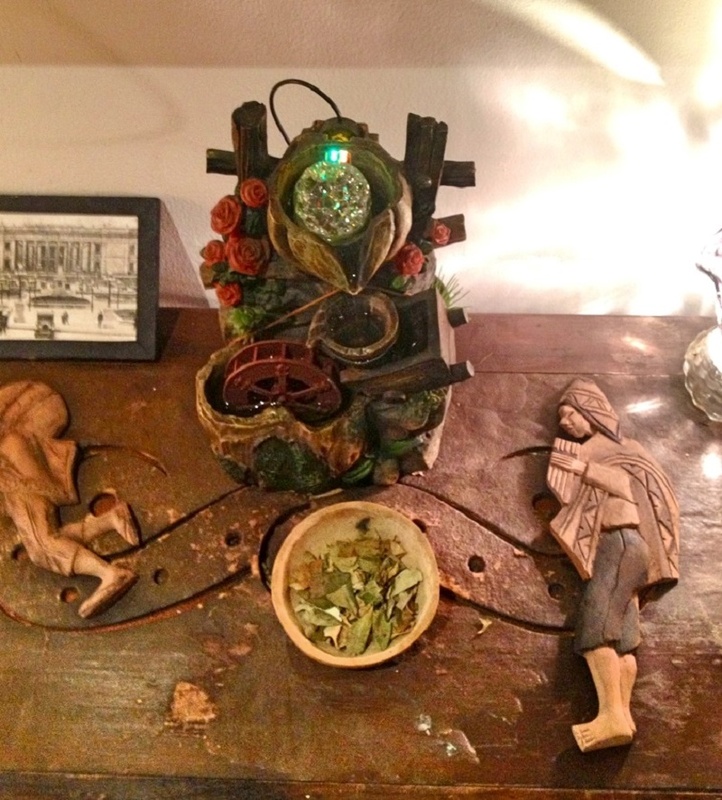 She works in multiple platforms – mixed media, paintings, photography and artisan crafts. 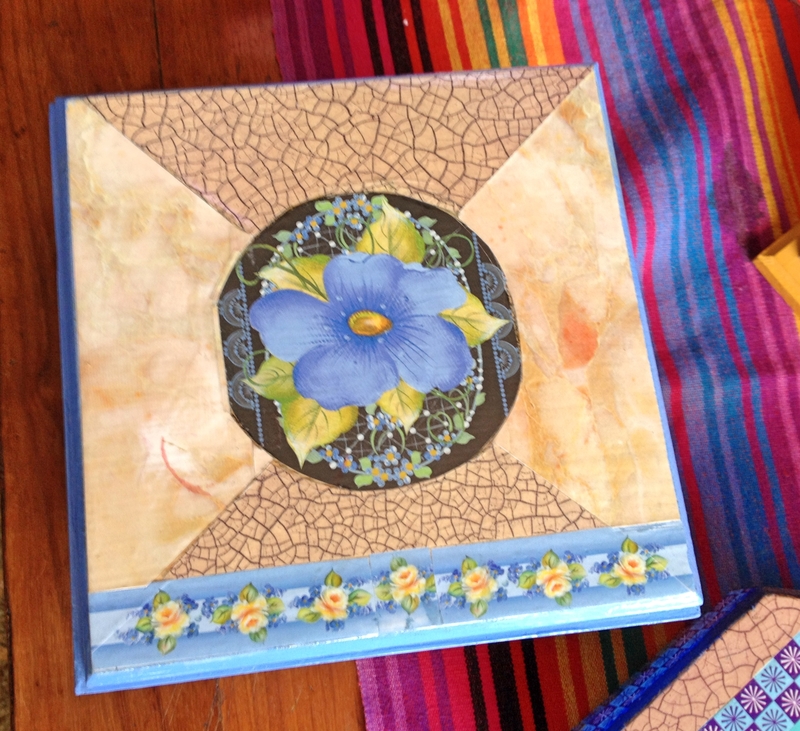 On today’s visit – we talked about some of her craft work as well as the large craft fairs here in Colombia. We discussed my ideas for ‘artisan craft style tours‘ where visitors could learn more about the crafting process and Indigenous cultures of Colombia. 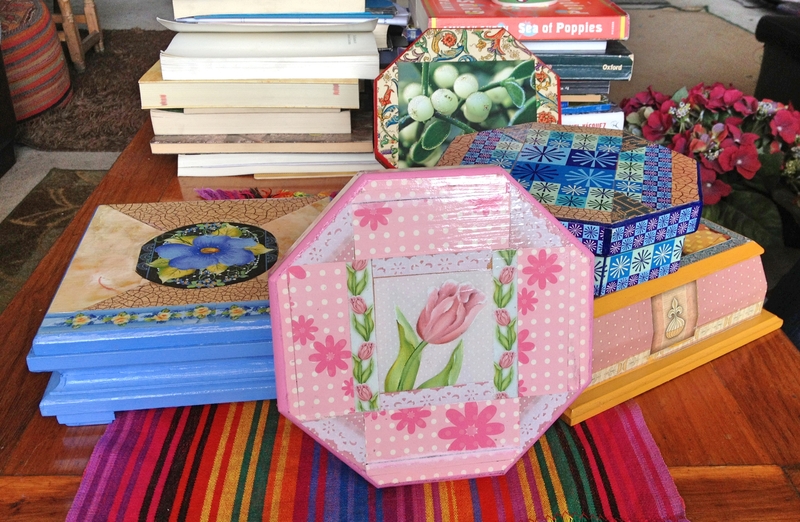 She showed me some of her more recent projects – making decorative wooden boxes. 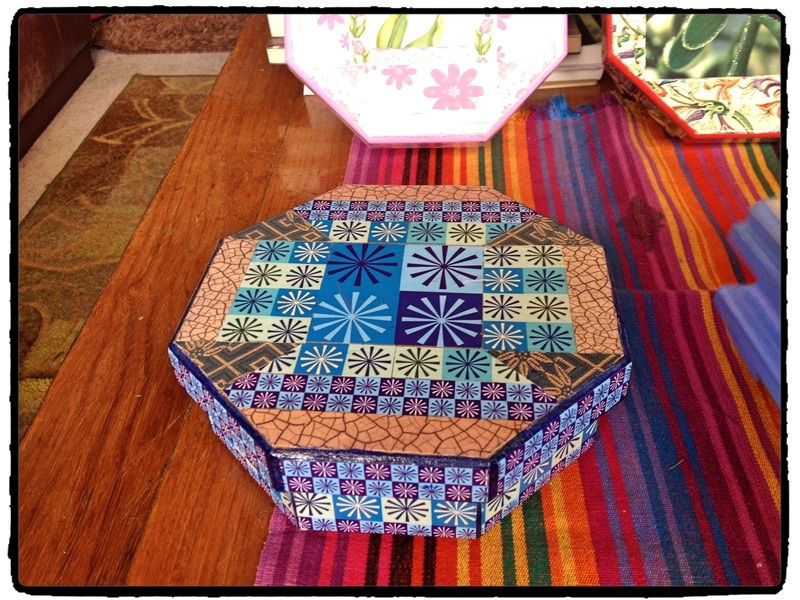 Instead of using the traditional Colombian patterns, she designs her own. Her mixed media paints are arresting to look at. Unfortunately, I was too busy admiring them to take any pictures.. But I do have a couple more pictures of the boxes. I think the next box is just fantastic.. It’s a design that just catches the eye. I like the combination of blues. For a portfolio of some of Isabella Klein’s work – click here. After too few days – it was time to say goodbye to my Bogota friends (new and old) and head back to Medellin to prepare for Colombia Moda..
with dear friends, Camila and Flavita. 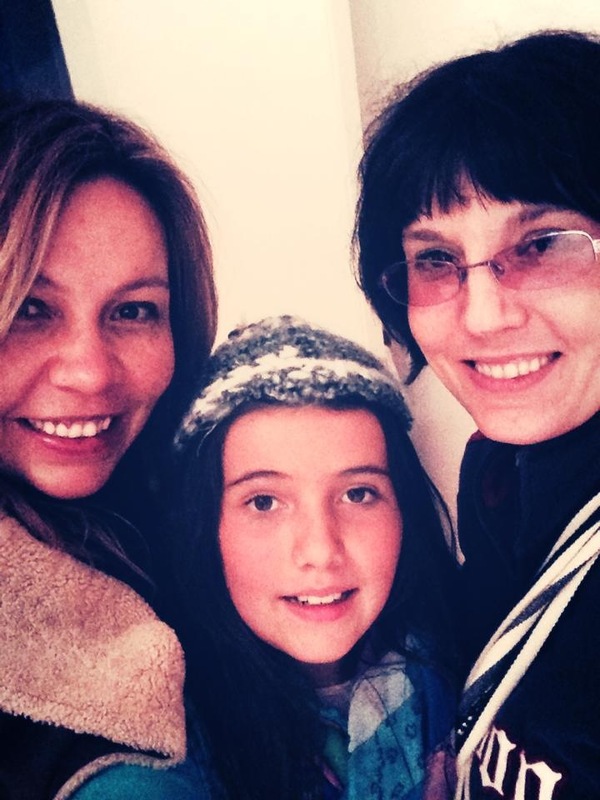 Of course – it wasn’t all bad – these lovely ladies were at the airport in Rionegro to greet me.. 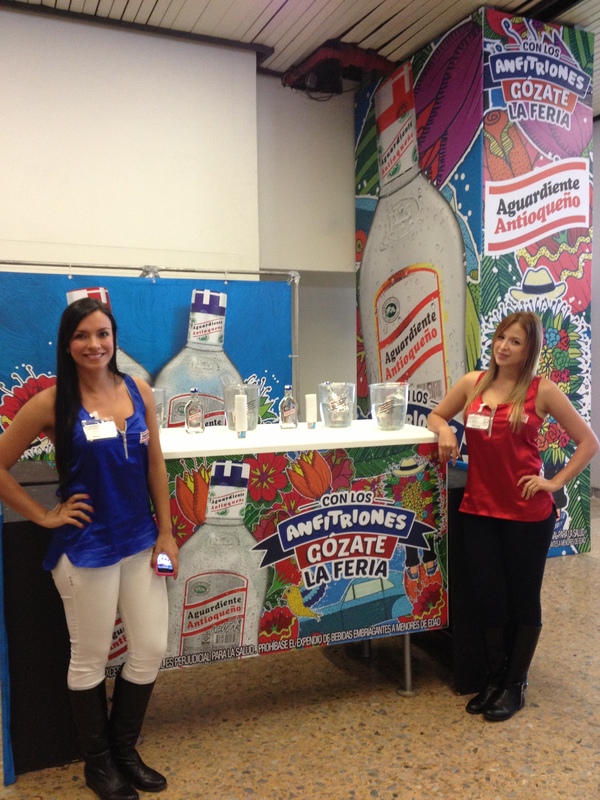 The Aguardiente Girls!! This entry was posted in Bogota DF, Cuisine & Culture and tagged Andean cuisine, artisan crafts of Colombia and indigenous peoples, Bogota, crochet and knit in Colombia, Isabella Klein Colombian artist. Bookmark the permalink. Do you remember the names of the sewing pattern magazines you mentioned in this post? I am interested to see if I could find some, as I love Colombian fashion. Thanks!